Choosing the right streaming device has been the toughest part of getting into streaming for many people. With so many different features and options, it’s hard to know exactly what you want. The Roku box has been a top pick of many experts when it comes to streaming Netflix, Amazon, and Hulu, but customers just got a lot more to choose from as Roku is replacing their boxes with five new streaming devices set to debut in 2016, all of them expected out before the holidays: Express, Express+, Pemier, Permier+, and Ultra. Prices start at $30 for the Express, and top out at $130 for the Ultra. So what’s the difference? Three of the new sticks have 4K capability and high dynamic range (HDR) video and one allows for analog connections (the old red and white cables). This really great if you want to watch live TV on Roku in stunning HD. The high-end Ultra brings microSD, USB, and optical audio connectivity over standard HDMI, plus wired Internet where the other options are Wi-Fi only, while the Express is your basic “steaming Netflix” style stick that would be a great introduction to someone new to cord-cutting. Which one of Roku’s new offerings works best for you depends primarily on how new your TV is, and whether you’re more of a “watching movies on the couch on a weekend” streamer or a “top of the line home theater” streamer. Oddly enough, a Roku that uses composite ports to connect to an older TV will require a step up to a higher tier than their entry level device. 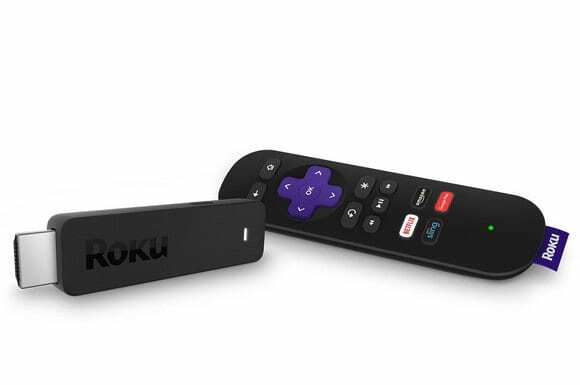 Roku has been on top of the heap for a while as far as streaming boxes go, and their new sticks prove they’re not slowing down any time soon.